Permits have been filed for an eight-story apartment building at 23 Montieth Street, in Bushwick, Brooklyn. 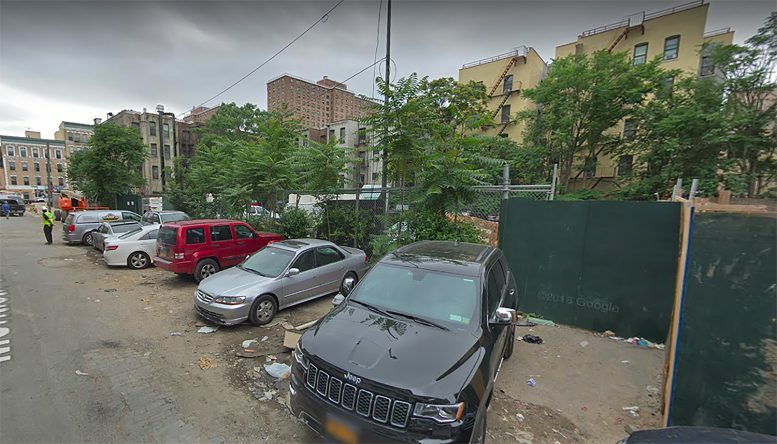 Located between Stanwix Street and Bushwick Avenue, the vacant lot is just off major thoroughfare Flushing Avenue. Five blocks east of the Flushing Avenue subway station, serviced by the M and J trains. Juan Ramos of Southside United HDFC is listed as the owner behind the applications. The community organization offers resources in the Williamsburg neighborhood including affordable housing, tenant organization, community outreach, a senior residential center, and a local food pantry. They previously filed permits in 2017 for affordable senior housing at the same site. The proposed 85-foot tall project will yield 78,513 square feet, with 59,500 square feet designated for residential space. It will have 94 residences, most likely rentals based on the average unit scope of 633 square feet. The concrete-based structure will also have a rear yard 23 feet long. Christine Hunter of Magnusson Architecture and Planning is responsible for the design. Be the first to comment on "New Filings Submitted for 23 Montieth Street in Bushwick, Brooklyn"